What Did Mom Really Mean When She Said 'Maybe' At the Store? Do you remember the feeling of being an eight-year-old and desperately needing a Razor scooter? No, not wanting. Needing. You needed it so much you were willing to build up the courage to ask your mom to buy it for you right in front of the checkout aisle. At once, your mind races to understand what this five-letter word means. Does “maybe” mean “yes”? Does “maybe” mean “no”? You, only a child, think not unreasonably that “maybe” means there’s an equal chance of a yes or no in your future—which gives you hope. Your mom loves you. Right? She must be thinking about it. She said so. You believe this to be true, but after the millionth time asking for candy or a toy or a Destiny’s Child CD and hearing “Maybe,” you start to doubt your very grasp of the English language. Your mom loves you. Right? For decades, we’ve wondered: What does “maybe,” when wielded by our moms, even mean? So we asked them to explain the psychology behind it. To embark on this investigation, I called my mom and posed the following question: “Remember when I was younger and I would go with you to the grocery store,” I began. “And we’d be waiting in the checkout line, and I would say, can I get this pack of Yu-Gi-Oh cards, or this Diet Coke-flavored Lip Smackers, or...” While I struggled to come up with more examples, my mom interjected. “Yeah, no, I get it—superfluous stuff.” I put down the phone. Superfluous? Unbelievable. “It’s not like I could say, ‘We already know that I am not going to buy that, so could you please stop being so annoying,’” she continued. I was annoying? After some thought, I came around. It wasn’t unreasonable, what I was hearing. I recalled the many times my mom and I waited in checkout lines. If she had out-right said “no” every time I asked to buy something, it almost certainly would have opened a door to a fight about how I was not being annoying and how I really needed this gel pen set—fights I was ready to put myself on the line for, as an small person. That would have taken up a lot of time, which we all know is money in this economy, and so the “maybe” saved us both from a lot of headache. Interesting. Now circling back to the concept of “maybe,” my mom remained fairly pragmatic. “I didn’t wanna say yes then realize I didn’t really wanna say yes or even say no and maybe I didn’t really wanna say no, I shouldn’t have said no,” she said. “I like to weigh my options.” Certainly as a child this kind of deep reasoned logic from sugar filled and tv-obsessed interior didn’t quite make sense, but now it reads fairly reasonable. Here today we learned that the word “maybe” can hide a myriad of calculations and considerations the speaker is making internally, while delivering a palatable response to a perhaps wanton child. Sometimes that child, a gooey mush of bones and unrefined thoughts, believes the “maybe,” imbuing it with their own meaning. But if it soothes, it does so misleadingly. It’s clear from our research that “maybe” never weighed yes or no equally. “Maybe” just meant “please be quiet, my child.” Which, again, after weighing the evidence, we find pretty fair. 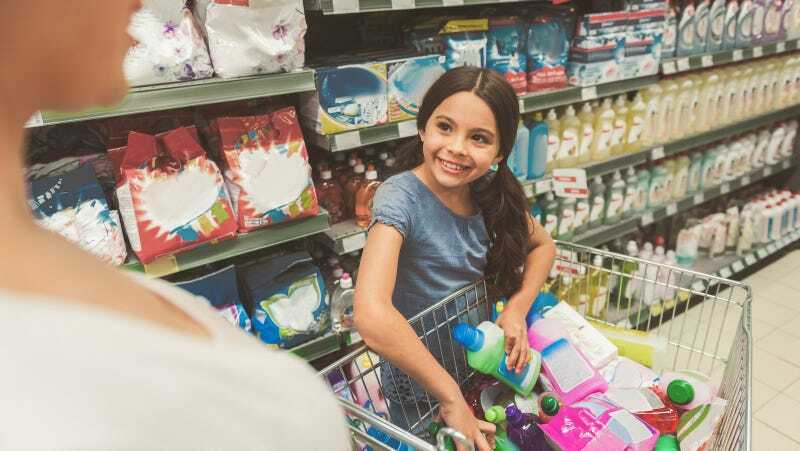 “Maybe” serves several functions: calming kids and buying some time for moms (at least until the next trip to Target or Walmart), who have to navigate millions of these could-be conflicts a day. “Maybe” keeps the peace—partly by keeping you, the child, in the dark. Our moms didn’t deploy “maybe” just for their own benefit—they were also shielding us, allowing us to live one more day in a fantasy land, where the things we wanted were totally reasonable and not at all insane. The real world, we all eventually find out, has no problem letting us in on that fact. But your mom wouldn’t do that to you. And that’s why “maybe” is a gift—for the both of you.